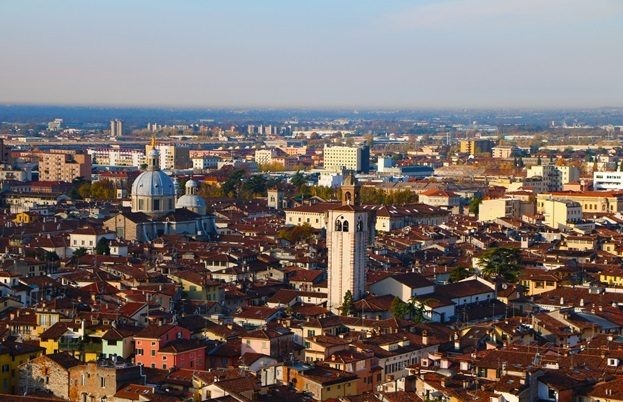 The home of Parmigiano Reggiano and balsamic vinegar, the city of Modena sits at the very centre of Italian cuisine, both symbolically and geographically. 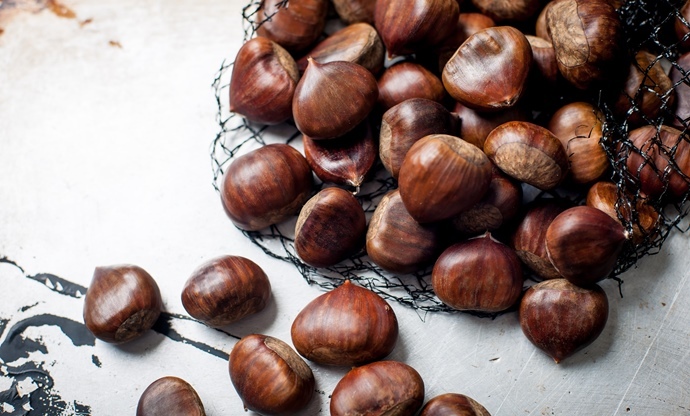 Get to know the ingredients and dishes that make it the jewel in Emilia-Romagna’s culinary crown. Explore Italy from top to bottom and you’ll often find yourself surprised – this is a nation that boasts more gastronomic diversity than most of us give it credit for. In the far northern provinces of Friuli-Venezia Giulia and Trentino Alto-Adige, there’s a significant if unsurprising Germanic influence – strudel, sauerkraut and potatoes are all staples of the northern diet. In southern regions like Calabria and Sicily, the regular use of nuts, dried fruit, saffron and cinnamon is the indelible mark of north African, Arabic and Turkish influences. We recognise these things as Italian and yet, they don’t subscribe to the traditional idea of Italian food. 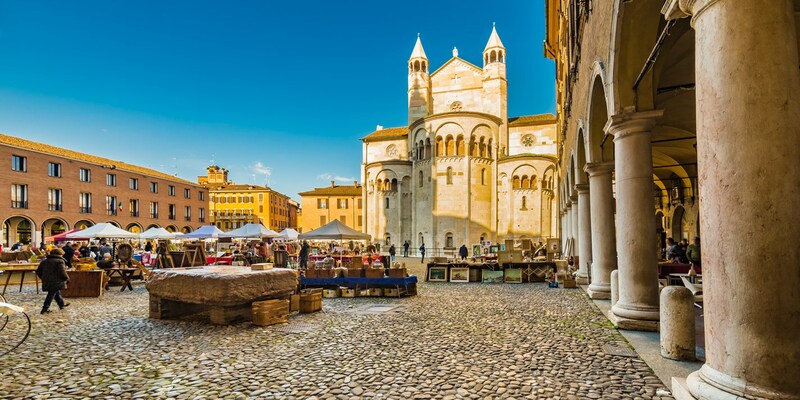 If you’re looking for fresh egg pasta, sumptuous, meaty ragùs, beautiful cheeses and succulent salumi, you should be making a beeline for the medieval city of Modena. These cobbled streets are the epicentre of Italian gastronomy, home to a rich culinary tradition that stretches back a thousand years. 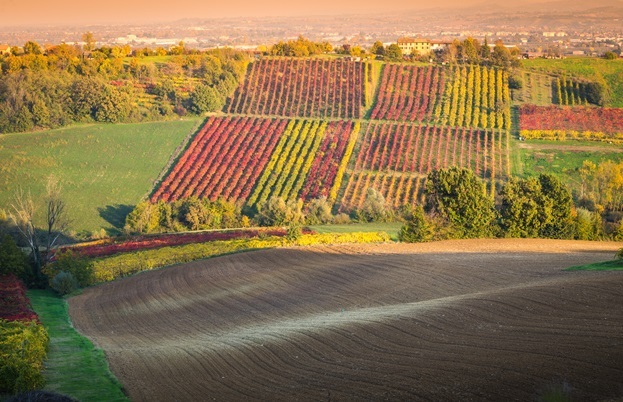 Much of what makes Modena and the surrounding region special is in the landscape and climate. The Po River runs through Emilia-Romagna from west to east, creating a fertile plain known as the Pianura Padana that has been the agricultural heart of Italy for millennia. The Romans were the first to realise the potential of the area – they planted cereal crops and reared livestock on the Pianura Padana, and subsequently gave birth to two great Emilian food traditions – pasta production and cheesemaking. The city of Modena is a hotspot for food tourists, but beautiful to visit in its own right. Some of the finest baroque architecture in the country is nestled in amongst its colonnades, and both the Piazza Grande and Modena Cathedral are protected UNESCO World Heritage Sites. 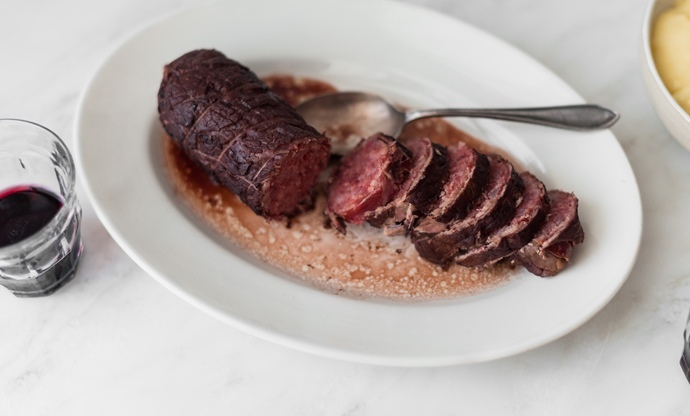 Serious foodies come here to visit Osteria Francescana – Massimo Bottura’s world-famous restaurant – but can find themselves wandering the streets in search of an alternative when they can’t get in. Fortunately, there’s no shortage of wonderful restaurants along Modena’s back streets, so a good meal is easy to find. Here’s a look at what you can expect to eat when you visit the city. There are a large number of cheeses made in Emilia-Romagna – Grana Padano and Provolone, for example, are both made up in the cool air of the Apennines – but Parmigiano Reggiano (often called Parmesan in the UK) is the undisputed king of cheeses from the region. After a minimum of twelve months ageing, Parmigiano still has a fresh, buttery flavour to it, but when the cheese reaches three years old, it becomes revered in Modena as sacred food – the grassy, fruity notes of the young cheese mature into toasted brioche, nuts and dried fruit, and the smooth texture turns crumbly and granular. For the Modenese, these aged Parmigiani are as close to food perfection as you can get. The Pianura Padana is the foundation of Emilia-Romagna’s incredible cuisine, but the vineyards are just as important. Not only do these grapes produce wine, they also go on to produce another of Modena’s great exports: balsamic vinegar. There are two types of balsamic in Modena – Aceto Balsamico di Modena and Aceto Balsamico Tradizionale di Modena. The former can be blended with wine vinegar and is cheaper to buy, but the latter must be made following a strict traditional process, aged for a minimum of twelve years in wooden casks. These traditional balsamic vinegars offer a true taste of Modena, often served with aged Parmesan or bread. Modena is better known for balsamic vinegar than it is for wines, but being in the heart of Italian wine country means there are still some stand-out bottles. Lots of sparkling and semi-sparkling wines are produced here, the most famous of which is Lambrusco – a sparkling white that is recovering from its old quantity-over-quality reputation. 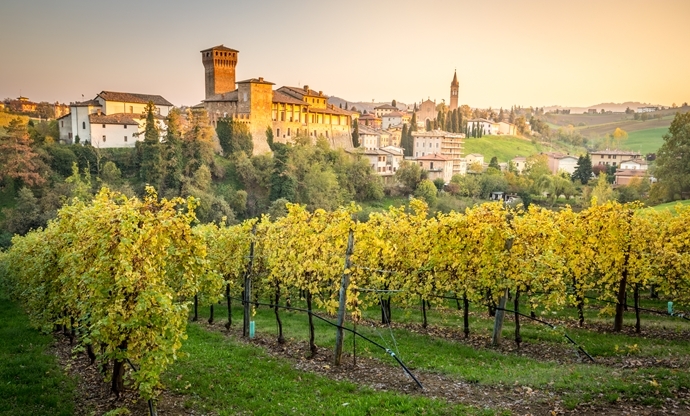 In recent years, Modena’s wine trade has come on leaps and bounds – Emilia-Romagna is the perfect climate for well-regarded Italian varieties like Sangiovese and Barbera, but some of the region’s little-known indigenous wines (such as Pignoletto, Albana and Malvasia di Candia) are winning awards left, right and centre. The Modenese are seriously passionate about salumi. The most common is the world-famous Prosciutto di Parma, but there are other locally produced cured meats that can be found all over the city. Mortadella is made in nearby Bologna, and there are lots more prosciutti, including Coppa di Piacentina – made with pork from the round of the shoulder – and the rare and revered Culatello di Zibello – a ham made in very small quantities in a few villages along the Po Valley. No meal in Modena is complete without a selection of cold cuts. There are few places in Italy where pasta is held in such esteem as it is in Modena. 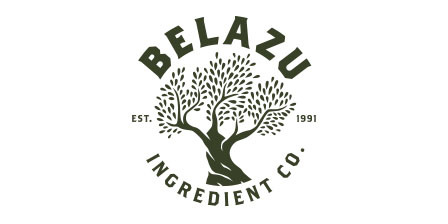 That all starts with the remarkable quality of the durum wheat flour grown locally, but also the freshness of ingredients. 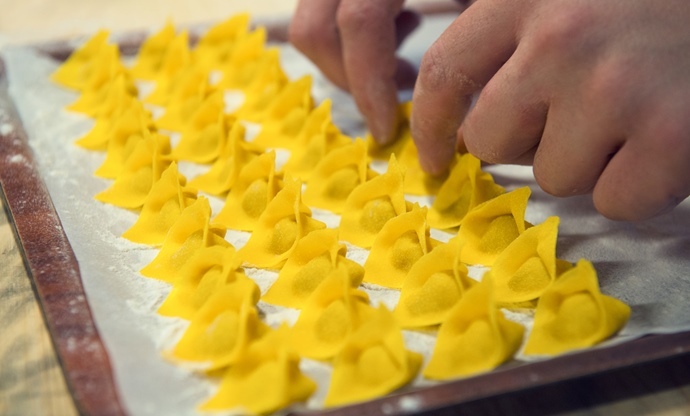 Whether it be a mound of magnificent tagliatelle wrapped in a shroud of ragù, a clutch of plump tortellini in brodo or handkerchief-shaped ravioli in sage-infused butter, there’s no avoiding pasta in Modena. Not that you’d want to, of course. Emilia-Romagna has a huge collection of its own sweets and desserts. Many of them began life as a way to celebrate religious holidays, but nowadays they’re prepared throughout the year. Candied citrus, vanilla, almonds and locally grown chestnuts (marrons) are all common flavours in Modenese confectionery, and you’ll also find dense, rich fruit cakes like Panpepato and Torta Barozzi. 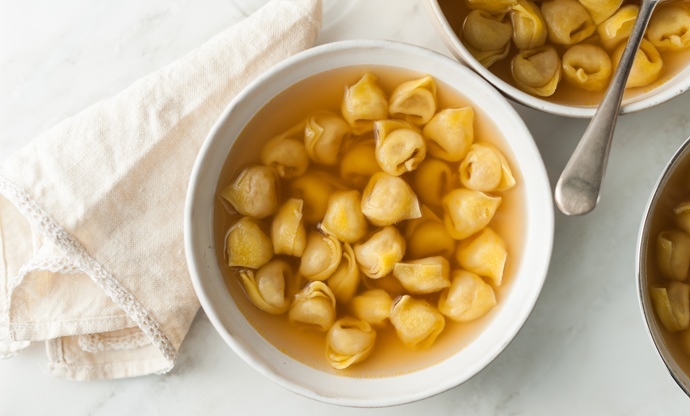 Bologna lays claim to most classic Italian pasta dishes, but many argue that Modena is in fact the original home of tortellini in brodo – a beloved dish in most Italian homes. For the true tortellini in brodo, the stuffed pasta should contain pork loin, prosciutto, mortadella (which does originate in nearby Bologna) and Parmesan, all ensconced in a rich, comforting chicken broth. Also called crescentine (or crescente), these little round flatbreads are similar to English muffins, but thinner. 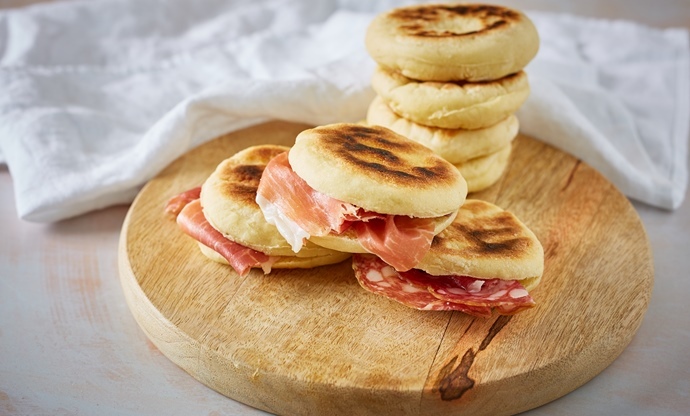 They’re typical of Modena, where they’re often filled and eaten with a pork spread called cunza – made with lard, rosemary and garlic – or with cheese and cold cuts of pork, rabbit, salumi and even wild boar. Classic Modenese lunch fodder. Salumi from all across the region is eaten in Modena, but there’s a special place at at the table for cotechino and zampone – two traditional Modenese pork sausages. Both are made with plenty of pork fat, rind and meat, along with salt, spices and sometimes red wine, but zampone specifically includes the front trotters of the pig too. Traditionally these sausages would be simmered in water for a number of hours, before being served alongside lentils or polenta, or prepared as in the recipe above – wrapped in beef (‘in galera’) and slow-cooked. Invented in 1907 by Modenese pasticciere Eugenio Gollini, Torta Barozzi has become a signature dessert in the town – Gollini even stopped working after inventing it, as he felt he would never create something more delicious. 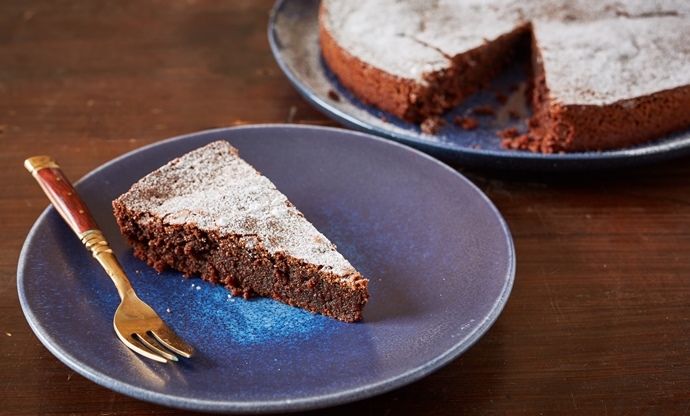 The dense, brownie-esque torta is a mixture of almonds, peanuts and dark chocolate, often served with sour cherries from nearby Bologna. If you’re after the real deal, visit Pasticceria Gollini in nearby Vignola – the original shop which is still run by Eugenio’s great nieces.